Many times we have heard the phrase: “Impossible is nothing, if you set your mind to it”. Truth is that these words have a real meaning. 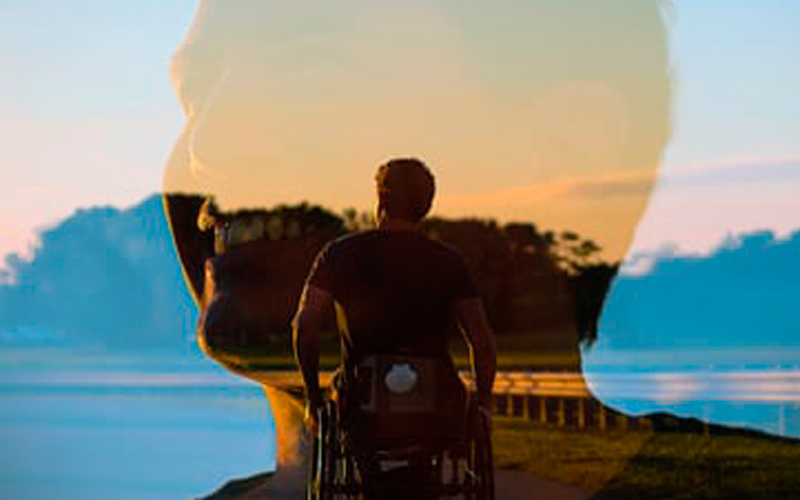 The Way to Santiago for disabled people is an experience that can be fulfilled. Physical and psychological limits do not necessarily constitute an obstacle to reaching the tomb of the apostle. Time after time disabled people manage to walk the Way to Santiago –even with some difficulties- and feel the excitement of arriving in Santiago. The Way to Santiago for disabled people is a reality. The legendary Codex Calixtinus already tells the story of pilgrims with physical limitations who succeeded in doing so. We are aware that there are more obstacles to be faced obstacles and have to put more effort in doing it, but if you set your mind to it, you will succeed. Experience has shown that we are the ones that build barriers but also the ones who are able to break them down. The Way to Santiago for disabled people needs to be organised in a different way. Physical and stage preparation is required. It is advisable to be fit, although it is not essential depending on the person’s disability. It is important to define each stage of the Way from start to finish. You have to analyze how many kilometers have to be done each day. It is also essential to bear in mind that the roads need to be adjusted. It is required to create alternative routes in the Way of Saint James for disabled people. For example, detours to local and national roads to avoid steep and forested terrain are common. On the other hand, if the person doing the Way has reduced mobility, the chair should be adapted or go with a handbike (a structure that attaches to the chair that gives strength and propulsion). It can be adapted to the needs and circumstances of each person. One of the main tips for doing the Way to Santiago for disabled people is to go in groups. Travel assistance in the Way becomes more necessary in this case. Dependants must have be accompanied by someone all the time, but we will tell you later that this is not an obstacle. We also recommend you not to force yourself to complete the entire stages. You can go through individual sections and adapt them. Both the kilometres and the orography of the terrain depend on this. For this reason, we recommend the use of handbikes for disabled people. They can be used to pass through more unstable and inaccessible places. Spring. This is the best season to do the Camino de Santiago for disabled people. The positive aspects are the average temperatures and the lack of rain. Many of the stretches of the road are dirt roads, they become inaccessible for wheelchais when it rains. The French Way is the most recommendable if you want to do the Way to Santiago for disabled people. As this is the busiest route, it is the most adapted of all. We recommend planning befor starting, not only routes but also the accommodation. Currently, there are fully adapted hostels such as Villalcázar de Sirga in Palencia. We recommend that you call the hostels in your organisation beforehand to find out if they have the facilities they need. 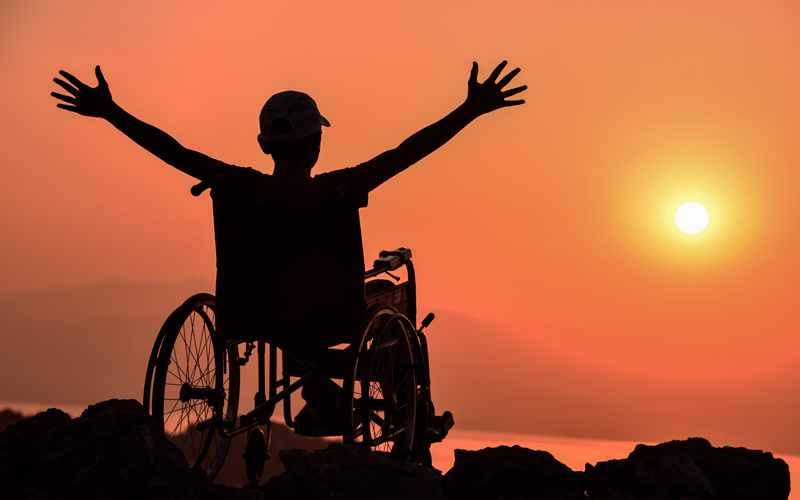 We firmly believe that the best way to encourage you not to be afraid when doing the Camino de Santiago for disabled people is to experience it. Here you have two examples. 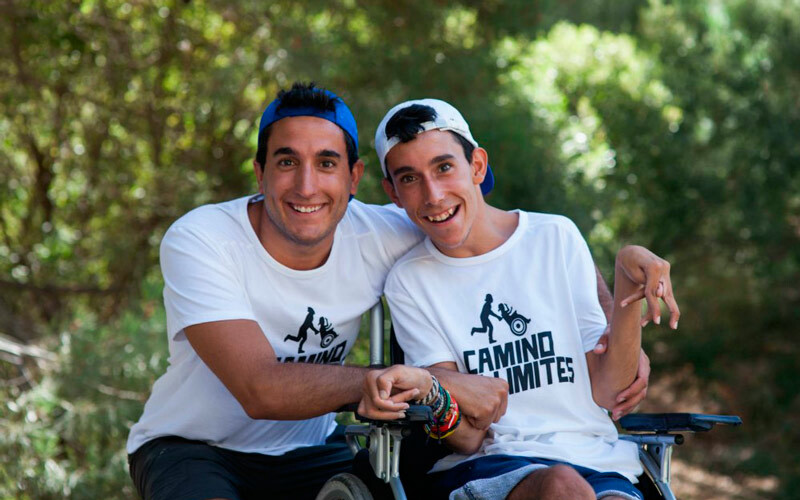 First of all, we would like to introduce you to the project “Camino sin límites (Road without limits)”. The main characters are two brothers: Juan Luis, with cerebral palsy, and Oliver. The two of them went on the adventure and wanted to show that there were no barriers that cannot be overcome. “No one but yourself should have the luxury of setting the limits”, Oliver says. And time proved them right. They arrived in Santiago after walking 800 kilometers. Another extraordinary case that shows that disabled people can also complete the route to Santiago is the one of John Pardo. Filled with all his enthusiasm and strength, this young man in a wheelchair also decided to reach the tomb of the apostle. “The only obstacles in our lives are the ones we put in front of ourselves,” says John in the documentary I did it. In both cases, they have shared their experience to show that nothing is impossible if you are determined to do it. These are two perfect examples of how courage and bravery are essential in life. 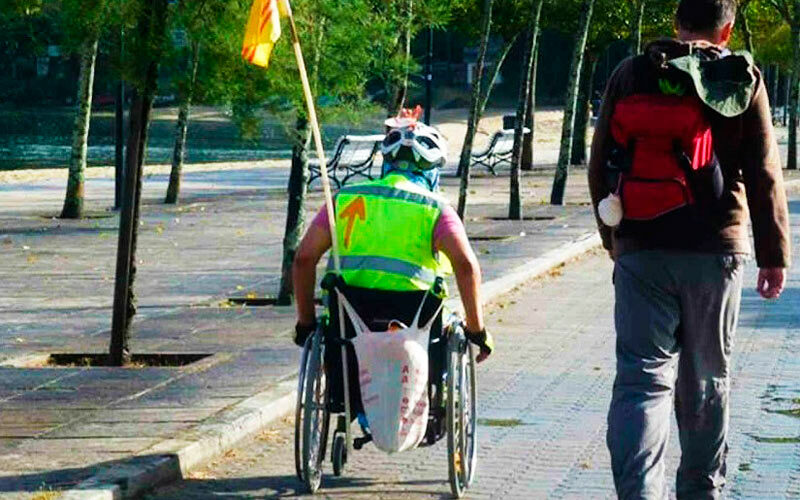 The Way to Santiago for disabled people is a reality, it can be done and it can be fulfilled.